A warm welcome from the Mercure Grand Hotel Biedermeier! 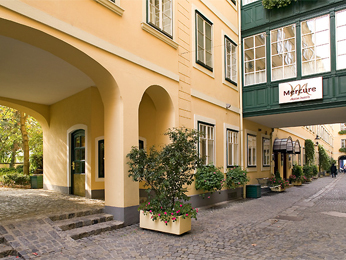 This centrally located 4-star hotel is situated in an authentically styled Old Vienna arcade, with all the charm and comfort of modern Biedermeier. Ideal for taking a quick stroll and exploring the city’s highlights including St. Stephen’s cathedral, Belvedere palace and the Ringstrasse with its historical buildings and museums. The hotel offers 198 air-conditioned rooms, two restaurants, a café, bar and the RelaxClub with sauna.